W.O.A International - The Music Company signs Mexican Jazz sensation Diego Ramirez to its roster. Oct. 18, 2009 - PRLog -- Goa, India – Jazz is fast becoming one of India’s most requested genre’s when it comes to International music in India and some of the finest International Jazz artists are introduced to fans in India by W.O.A Records. W.O.A International - The Music Company has added to its list of top selling artists by signing on Mexican Jazz artist Diego Ramirez to its roster. “Jazz is a top selling genre in India when it comes to International music and we are proud to say that we have some of the best Jazz musicians from around the world signed to us” says Wanda Alvares, Executive Vice President and Marketing Director, W.O.A International. “With the signing of Diego we have added to the list of Jazz stars we have on the roster now and this is good news for Jazz fans across the region”. 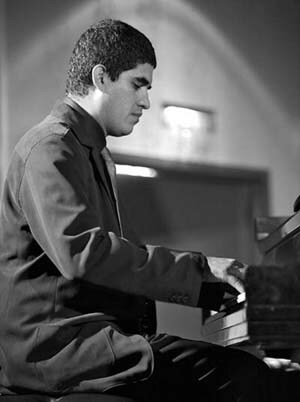 Diego Ramirez is an extraordinary jazz pianist and composer, with pianist brilliance and staggering creative energy. His CD ‘El Ultimo Chilam Balam’ was named best jazz album of 2008 by L.A music awards. Diego Ramirez is continuing his winning streak with his song ‘Andrea’ which earned Jazz Runner up in Simon Cowell's (American idol Judge) UK Song writing Competition. Also worth mentioning is his song Ka'Kau' which received a Honourable Mention at Billboard's Song writing Competition. From Latin America, the United States, to Japan and now India, people have been captivated and enchanted by Diego Ramirez’s music, which is best described as universal. With the infrastructure that W.O.A International offers International bands and musicians it is now the company that artists like Diego Ramirez create partnerships with to break into large music loving regions like India. The whole concept of W.O.A International from the start has been to support global artists and it is evident with the world famous events and properties that W.O.A International now owns including The W.O.A Records India Tour, The W.O.A International Music Festival, Goa Chillout Zone Compilation, The Independent No.1’s Project, W.O.A Radio Show and various other W.O.A properties that have been created by W.O.A International to support and promote artists globally.